Neem pencils are a unique concept developed by Mr. Sunil Gupta, a supporter of the children and youth at Lakshya' s shelter home. Mr. Gupta has trained several youth from Lakshya who work at his center to create these natural pencils. 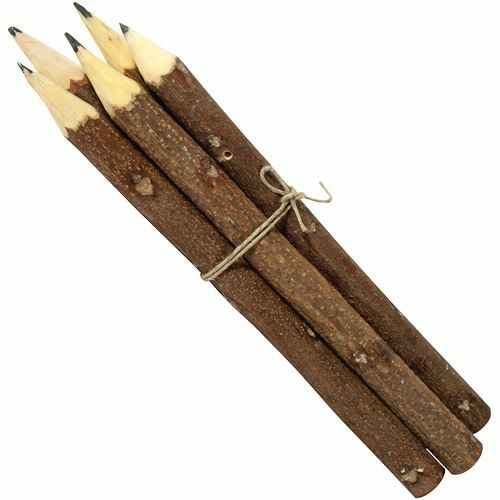 Discarded neem trwigs are used for these pencils, and no trees are harmed in the making of this product. Available in regular graphite and colored options. Great gift for children and artists in the making!! These special pencils are made by youth at Lakshya shelter home in Faridabad, India. Lakshya primarily supports children and youth who have run away from their homes. Lakshya, sends the younger children to local schooling facilities, and the youth are given vocational training to help earn a living and support themselves. Buy these unique products and support Lakshya's objective of providing better facilities to these children.